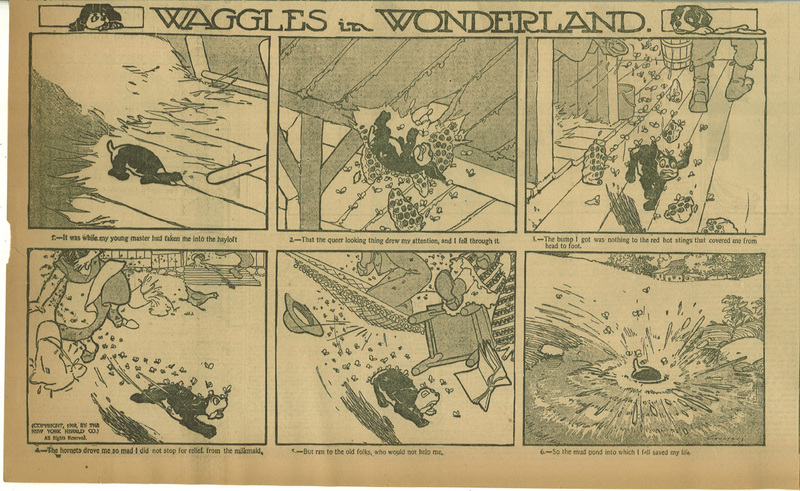 Here’s an example I scanned of Waggles in Wonderland from 1908 by Hi Coultaus. 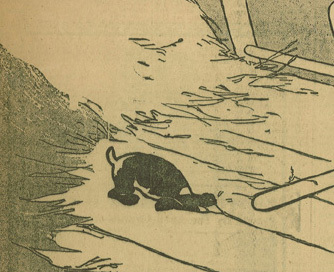 Click here to read more examples of Waggles in Wonderland at Barnacle Press. Click here to read about Hi Coultaus at lambiek.net.